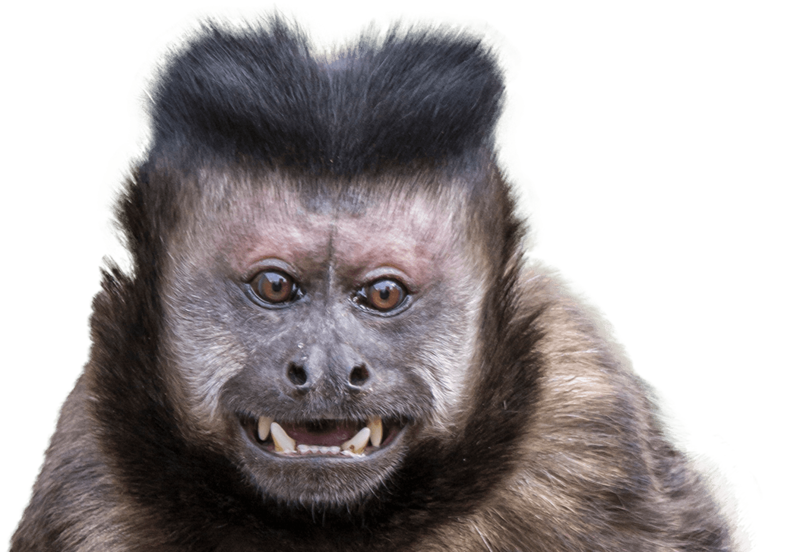 Black Capped Capuchins, also known as Tufted Capuchin, or Brown Capuchin, may live either a solitary life, or in groups of 2–20. Juvenile males leave the group at sexual maturity and seek out new groups in which to mate. The core members of a group are, therefore, the females who typically spend their entire lives in the same group. Named after a group of Franciscan friars, their black capped heads resemble the hoods they wore. Extremely intelligent, they are great problem solvers and are well known for using tools such as rocks and sticks to aid in food gathering. The zoo’s Capuchin Island is home to family members Gonzo and Monyet, and their children, Gomez and Peanut. Soochi and Coco reside in the central part of the zoo.